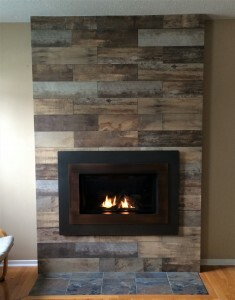 Everything on this project was by Fireplace West. It’s a standard install, one of our most common, our Gas to Gas SWAP. This time, we have swapped out a 25 year old failed gas insert, blowing CARBON MONOXIDE through worn out window seals, for a new gas fireplace. 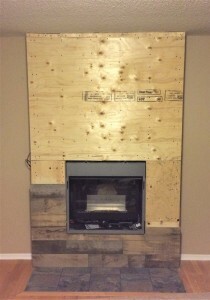 The client has asked for an upgrade of fireplace choice to the VALOR H4. 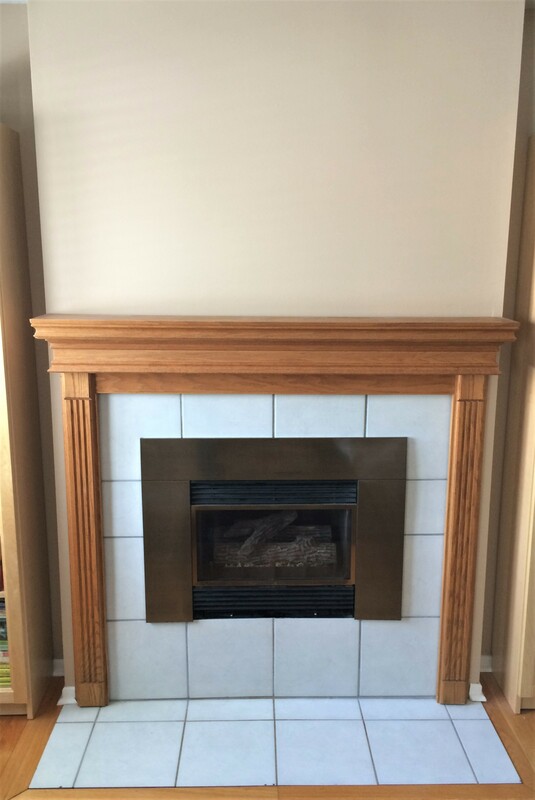 Great unit with awesome trims and a low heat setting of 6500 BTU. This means the fireplace is on longer. 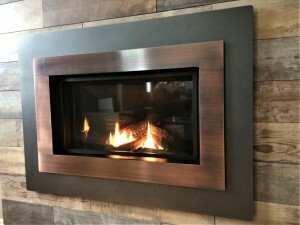 Swapping dead insert for a Valor H4 fireplace. First thing is removing the unit, drywall surround and tile~~~1/2 day. Messiest part but we have become quite adept to making it fairly painless. Always a surprise to find FIREPLACE HAZARDS lurking behind the tile, most common is wood framing too close to the gas insert. Step 2 is to repair any problem areas behind the old unit. If we find problems~~no insulation, mould, etc., we have to repair before proceeding. Occasionally this can be an additional expense (typically less than $500) as is not part of our quote (need x-ray eyes). 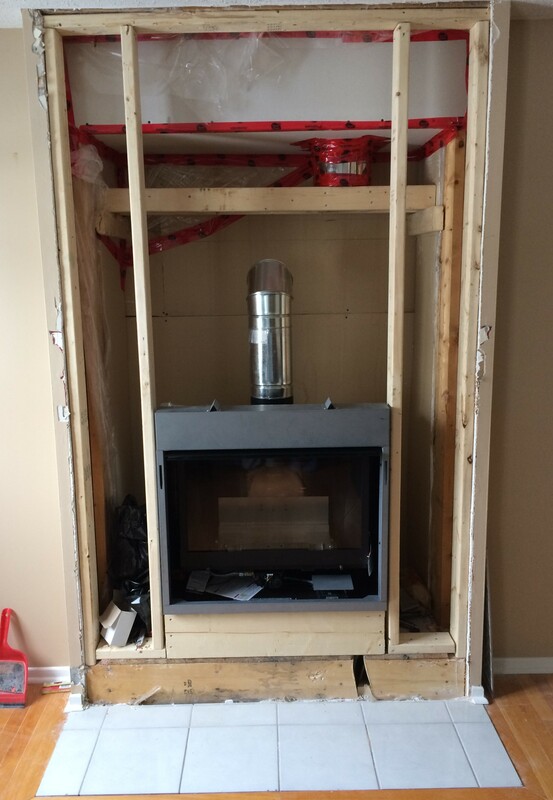 Step 3 is to reframe and install the new Valor unit. Often, we change the look by lowering or raising the new unit. The client’s finishing choice is a 6″ by 18″ tile, stacked, no grout. For this application, we have closed in with plywood to support the weight of new finish. 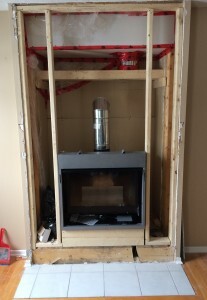 Finish gas, electrical for future fan and fireplace switch. Tile is always supplied by client, usually from Home Depot or Lowes. 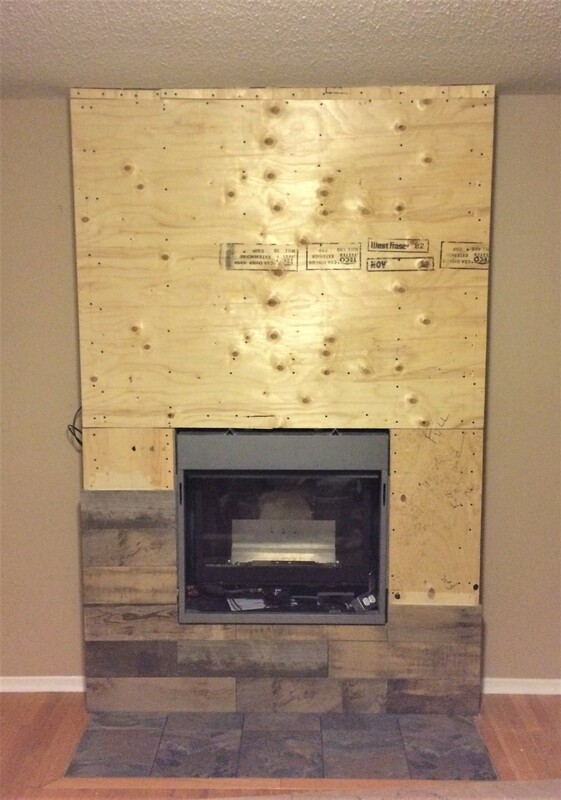 Step 4 is to finish the tile (we only do simple tile), do a final trim setup and light it up. The tile and fireplace upgrade added about $2500 to project. This is still less than a small bathroom Reno. 3.5 consecutive days, about 20 years of great looks. Everything here is done by brother Dan, myself and young tech Connor, gorgeous work. A very happy client!! Valor H4, logs, vintage iron landscape trim with Copper Bezel.